Non-parliamentary opposition party Free Democrats declared they are supporting the leader of the Movement for Construction, David Usupashvili in presidential elections on October 28. 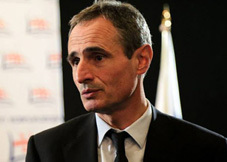 According to Shalva Shavgulidze, the chairperson of the party, Free Democrats and Usupashvili have a long-lasting political history. He called on everyone, who shares the position of the party, to support Usupashvili. Shavgulidze explains that as a member of the previous convocation parliament, he worked with Davit Usupashvili, who was the speaker of the parliament in 2012-2016. He also led the Republican Party in 2005-2013. “With all the whole responsibility I can say that he, as the Chairman of the Parliament, was a high-class state official. Of course, these skills and experience will contribute to the successful implementation of the presidential powers," he said. Usupashvili announced about the decision to run the presidential race on August 1. 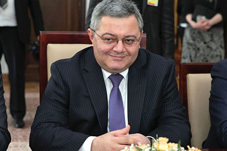 The ex-Speaker, who earlier suggested President of Georgia Giorgi Margvelashvili join forces and take part in the elections, says the president did not accept his proposal; therefore, he will run himself. Independent MP- Salome Zurabishvili, Movement for Construction – David Usupashvili, Shalva Natelashvili from the Labor Party, Nino Burjanadze, the leader of the Russia-affiliated Democratic Movement-United Georgia, Zurab Japaridze from the New Political Center – Girchi, United opposition candidate – Grigol Vashadze, and European Georgia – David Bakradze.